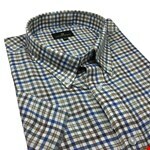 Cotton Valley S/S Brushed cotton shirt. 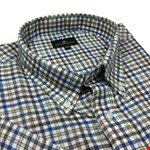 Stylish check with pocket on left chest. Match it up with a pair of jeans or shorts for a great look.